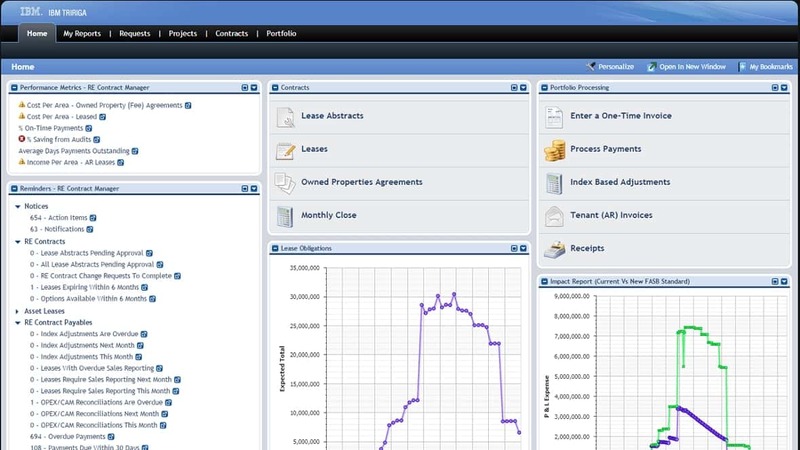 Generate higher returns from real estate transactions, avoid lease penalties and overpayments, and streamline lease accounting practices for new standards. Improve your capital project planning and accelerate project schedules. Integrated processes and analytics can help you identify funding priorities within capital programs, reduce project schedule overruns and streamline project cost accounting. Reduce facility operations costs by centralizing critical processes, increasing space utilization and accelerating workplace configuration. Identify underutilized facilities and provide move management capabilities for more efficient asset relocation. Reduce maintenance and operations costs by simplifying the delivery of maintenance services and management of service providers with a centralized database. Automate maintenance processes to improve the condition of critical assets and extend their life. Reduce energy consumption to meet long-term sustainability goals and generate higher returns from energy efficiency projects. Achieve carbon reduction goals via environmental investment analysis and streamlining of carbon accounting.